Another visit to the lovely Bix Manor – one of our favourite venues! 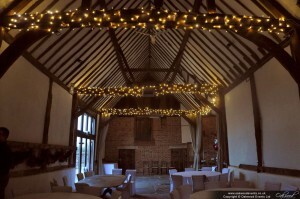 On this occasion we wound the main beams with dimmable fairy lights. The lights added some warmth on an otherwise rather cold day! 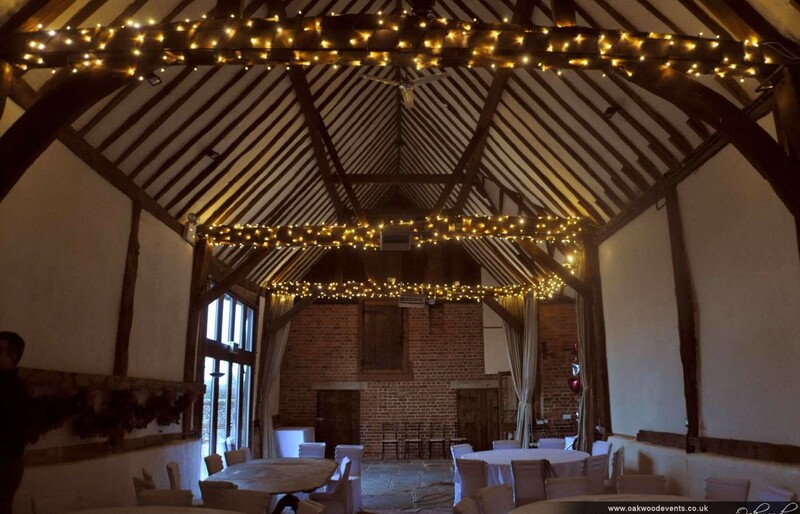 We also offer fairy light canopies and various other services at Bix Manor – see our main Bix Manor lighting page for more details.